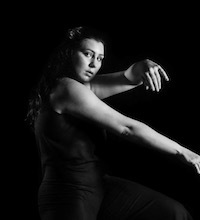 Olivia Cancelli is a New York City-based performer, teacher, and choreographer. Originally from Cleveland, Ohio, Olivia started her dance education at an early age before continuing on to earn a Bachelor of Fine Arts at Ohio University. While at OU, she performed in countless student and faculty works, including MacArthur Fellow, Kyle Abraham’s “Quiet Dance.” Along with teaching at local dance studios throughout college, Olivia also had the opportunity to teach ballet classes to non-dance-majors through the University. Since moving to New York, and joining “Wild She Dances” under the direction of Bethany Logan, she has performed pieces at Fertile Ground, WAXworks, and Doug Varone’s DEVICES Showcase.